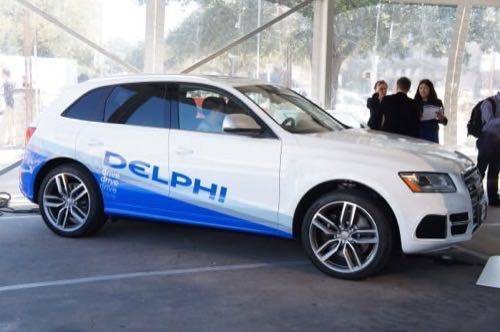 On Saturday at the South By Southwest conference in Austin, Delphi made history by announcing the first coast-to-coast automated drive. 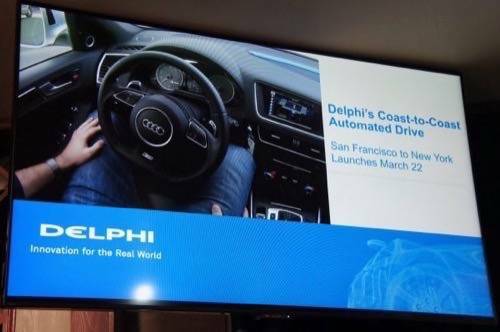 Dubbed the Delphi Drive, the trip will start in San Francisco on March 22 and end in New York City a few days later. 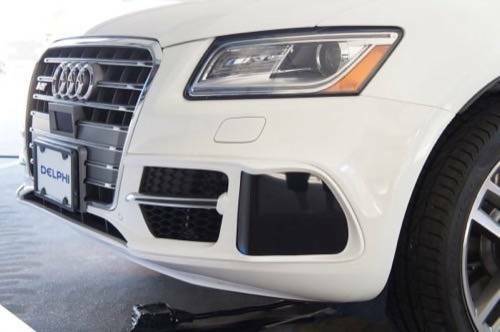 To make the drive possible, the company rigged a 2015 Audi SQ5 with additional sensors and computers, all seamlessly tucked into the vehicle, and brought it to the C3 Connected Car Pavilion at SXSW for a static demo. I had the chance to experience the self-driving tech first hand. What I saw convinced me that we could be closer than ever to seeing autonomous driving in real production vehicles. One of the major automotive tech themes of 2015 is how autonomous driving has been burning rubber toward reality. At the Consumer Electronics Show, Audi drove one of its “piloted” cars from San Francisco to Las Vegas without human intervention. BMW showed an i3 that could navigate a busy parking garage and find a spot on its own, then return to its owner when summoned via a mobile app. Both examples only used slightly modified cars, with additional sensors and computers neatly integrated into the vehicle. In other words, unsightly, spinning roof-mounted LIDAR remote-sensing units are now a thing of the past. The theme continues at SXSW. Other than the large Delphi logo pasted on its side, the modified SQ5 appears almost stock. But look closer, and you’ll see a few subtle changes. 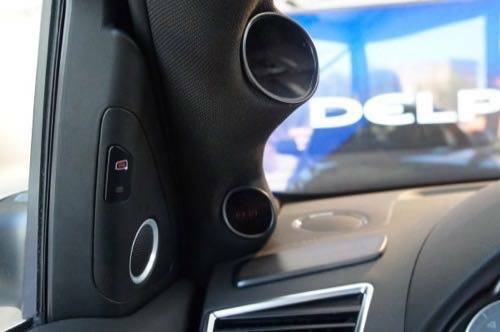 The company installed several sensors all over the car, pointing forward and back, and in each corner. You’ll find radar fitted behind the front and rear bumpers, together with laser-based LIDAR sensors in the front bumper, rear quarter-windows and hatch glass. A set of cameras mounted behind the windshield detects lanes, pedestrians, road signs and traffic lights. Inside the vehicle, the company added a Delphi Drive button alongside capacitive (touch) sensors on the steering wheel, a driver-facing camera plus infrared LED lights in the windshield frames, light strips on the dashboard, a fingerprint reader in the center console, and haptic motors in the seats, for tactile feedback. What you won’t see are racks full of computers in the trunk—that’s because of Delphi’s years of experience integrating electronics into cars. A set of hidden actuators for the steering wheel, gear selector and pedals round out the modifications. In all, Delphi rigged the vehicle to optimize for both manned and driverless modes. But one of the big challenges with autonomous cars is driver hand-off. How does the system give control back to the driver? When is it best to alert the driver? What happens if the driver doesn’t respond? These are questions that have technical, cultural, and legal implications for the future of self-driving vehicles. I was able to witness Delphi’s solution right from the driver seat. Taking control means getting the driver’s eyes on the road and hands on the wheel. 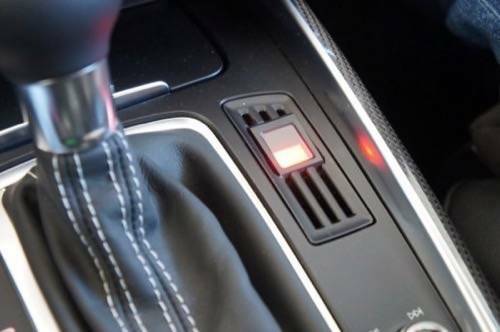 As the vehicle approaches the hand-off point, the verbal warnings become more frequent and eventually light strips start flashing red on the dashboard and haptic motors start vibrating in the seat cushions. If the driver still fails to take over, the car will safely pull over and come to a stop. The entire process lasts about 30 seconds, which is plenty of time for most attentive drivers to take over. 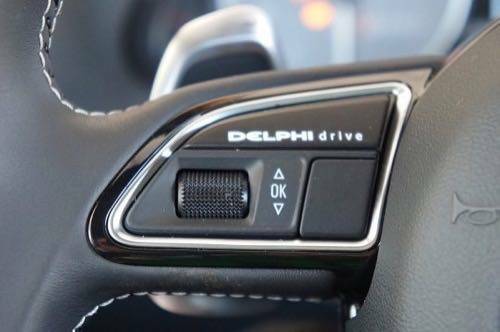 Putting the vehicle into automated driving mode is as simple as pressing the Delphi Drive button. While the company didn’t demo this, it showed a “valet pickup” feature similar to BMWs, in which the car meets its owner when requested from a smartphone app. Once on board, the fingerprint scanner confirms the driver’s identity. Regardless of these limitations, we’re about to witness a significant milestone in automotive history. 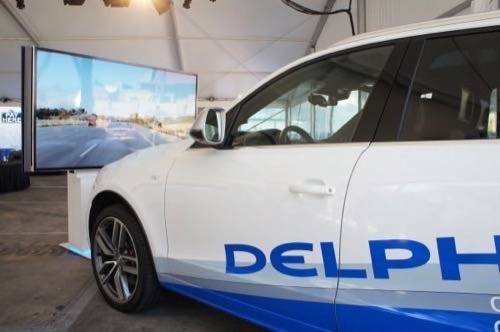 You’ll be able to follow the car’s progress on the Delphi Drive website or on Twitter via @DelphiAuto (with hashtag #DelphiDrive).